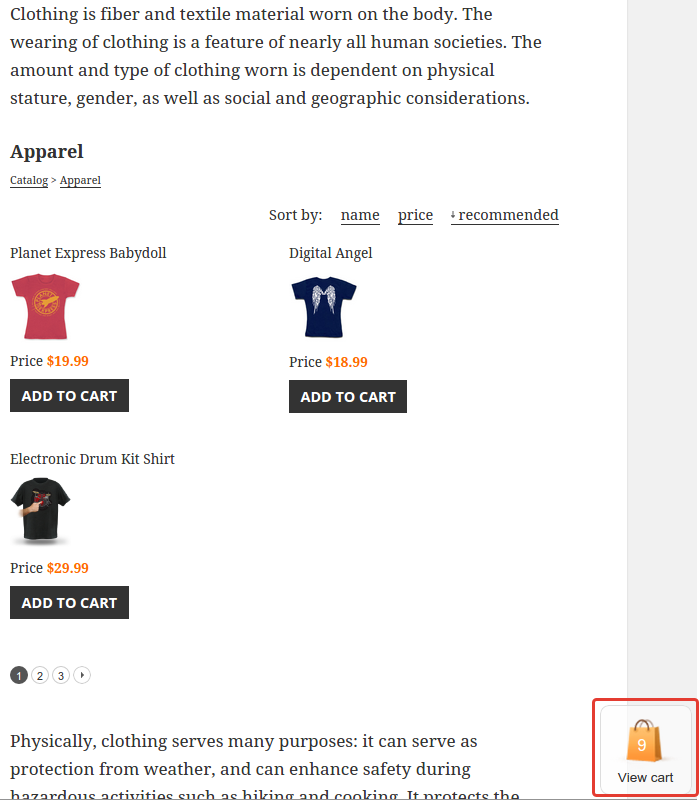 If you want to sell your products in your blog, consider the Buy button addon. 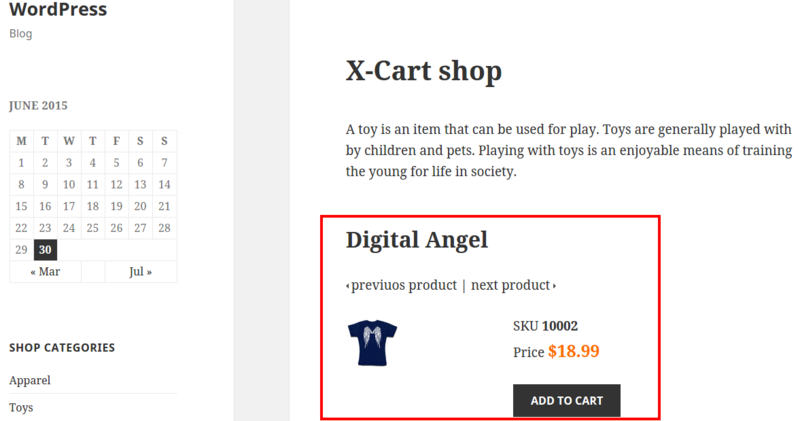 It allows adding product widgets accompanied with the Buy button right into your blog posts. 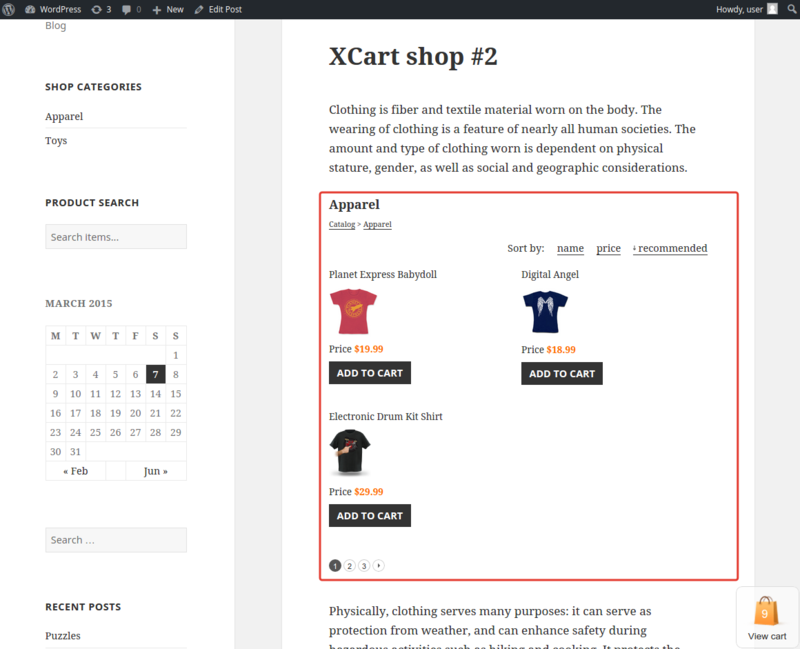 However, if you are interested in adding a Wordpress blog into your X-Cart online store, then consider Blog System in X-Cart 5. 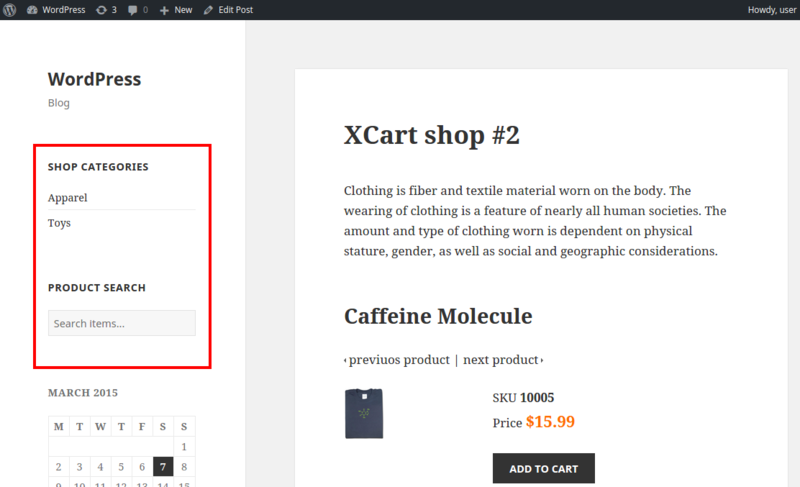 This extension helps you to build the eCommerce blocks into your existing WordPress-based website. 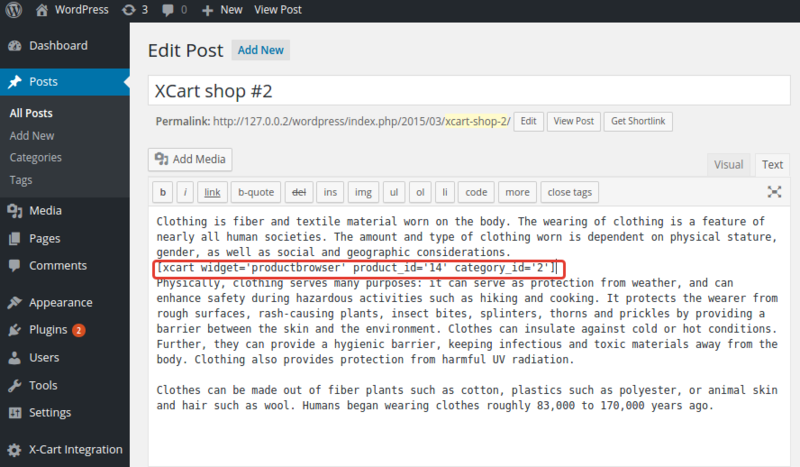 In other words, you can embed either a category with a list of products or a detailed product page right inside your blog post, and add a minicart widget. Your visitors will be able not only to browse the goods, but also add them to cart and place the order. You do not even need to think of a correct string format: it’s copied from the corresponding page in X-Cart (category or product management in X-Cart admin back end). 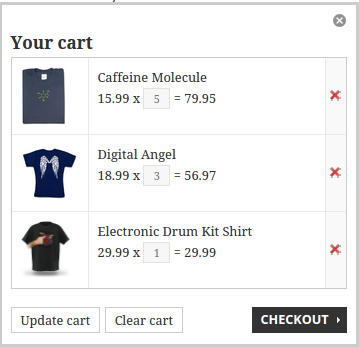 You may display widgets with a side menu: categories list and search by products in your X-Cart store.